I know Halloween isn't until tomorrow but as this is the last day in October I'll be blogging, today seemed as good a day as any to post something Halloween themed. It's a celebration that is increasing in popularity here in the UK which I'm pleased about. I doubt it will ever be as big as it is in the States and Canada but it is an improvement of how things were when I was a kid. It was never really celebrated at all. I have never been trick or treating, that actually makes me feel a little sad. I'm hoping I'll get my chance one day, when we have kids of our own. It won't be quite the same I know but hopefully I'll get just as much joy out of it seeing the kids happy and enjoying themselves, that's what it's all about after all. I'm a sucker for all the decorations and Halloween themed treats, or Halloween themed anything for that matter. I'm a consumers dream, I just can't resist temptation. 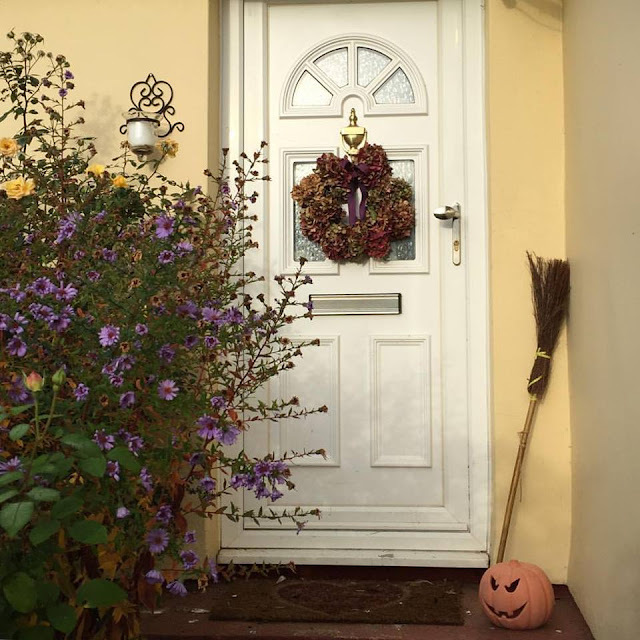 Since having our own home I've really enjoyed decorating for the seasons and embracing it, Halloween has been no exception. I've not gone too mad this year and have kept it ll pretty low key. I'm not a fan of the ghoulish decorations either, I like to try and keep things pretty if I can. Happy Halloween, Gem! Having kids will definitely add to your Halloween spirit! I've never been a big fan, but the kids adore it so I try to make a bigger effort. The kids get to wear their costumes to school today so they are quite excited. In fact,I am dressing up too. Myself and the 2 other adults who work in my classroom are going as the "3 Little Kittens Who lost their Mittens." Very kindergarten, eh?